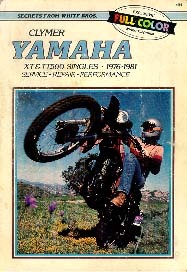 "Yamaha XT, TT & SR500 Singles 1976-1983 Owners Workshop Manual"
"Yamaha XT & TT500 Singles 1976-1981 Service, Repair ,Performance"
This manual has a great section on White Brothers performance enhancements, but is harder to follow than the Haynes manual. 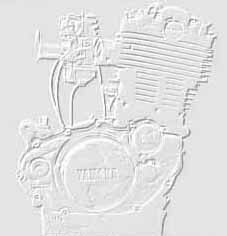 It seems like it has been written more for the experienced mechanic and omits many details that the beginner needs, especially when trying to remove parts! 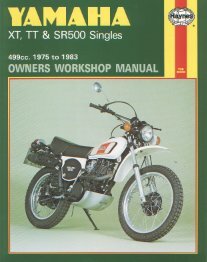 This is a good place to start for basic XT maintenance, but I highly recommend obtaining at least one of the above manuals for more thorough servicing information.